It's no secret that I'm a huge fan of classic Parisian Apartment decor. 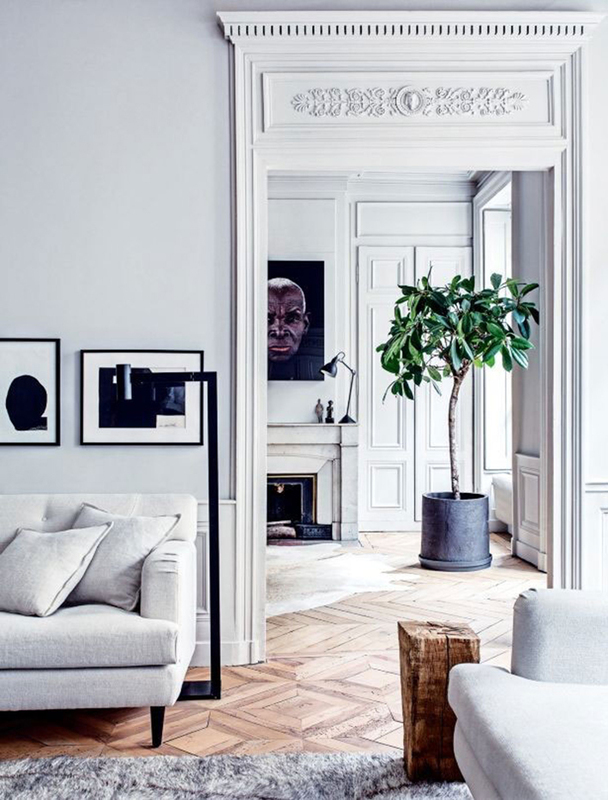 Herringbone parquet floors, stunning architectural details and high ceilings...totally dreamy. In fact, as I write I'm injecting a little Parisian Apartment chic into my DIY kitchen re-furb. More about that soon! Meantime, there are a few easy things you can do to create this laid-back but glamorous look, or just give a nod to it, depending on how far you want to go. 1. Stick to a limited colour palette. This look requires a bit (okay a lot) of restraint. Think black, white, and neutral. And then add bit more neutral. Don't worry, metallics totally count as neutrals! Bring in some natural greenery with everyone's enduring botanical superstar, the fiddle leaf fig tree. And if you really must, you could add some blue, but make it muted. 2. Texture. Natural materials, fibres, and texture by the bucket-full. Think wood, stone, wool, leather, linen, velvet, sheepskin and gauzy soft cotton. You can't over do the texture, especially when you're working with a limited colour palette. 3. Architectural details. This is a controversial one, but I'm a firm believer in having fun with your interiors, so if you don’t have any architectural details and you want some, why not add them yourself? Wall mouldings, panelling, decorative cornicing and lovely deep skirting make a huge impact and can be done as simply or as over the top as you like. 4. Contrasts. Play with the tension between old and new (or create it!). Traditional moulding looks incredible with a contemporary light fixture or coffee table thrown into the mix. 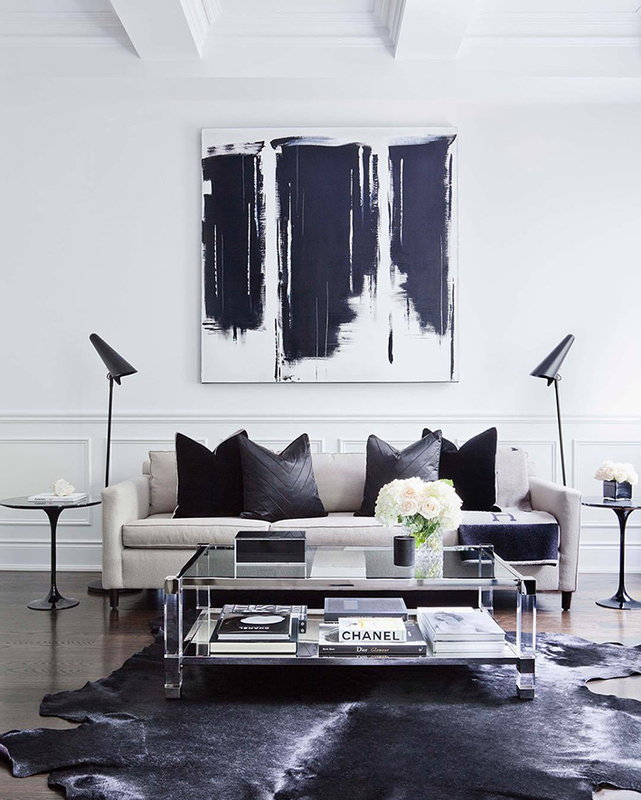 This kind of contrast is always a good thing, and mixing eras and styles, keeps it modern and fresh. 5. Cool accessories. 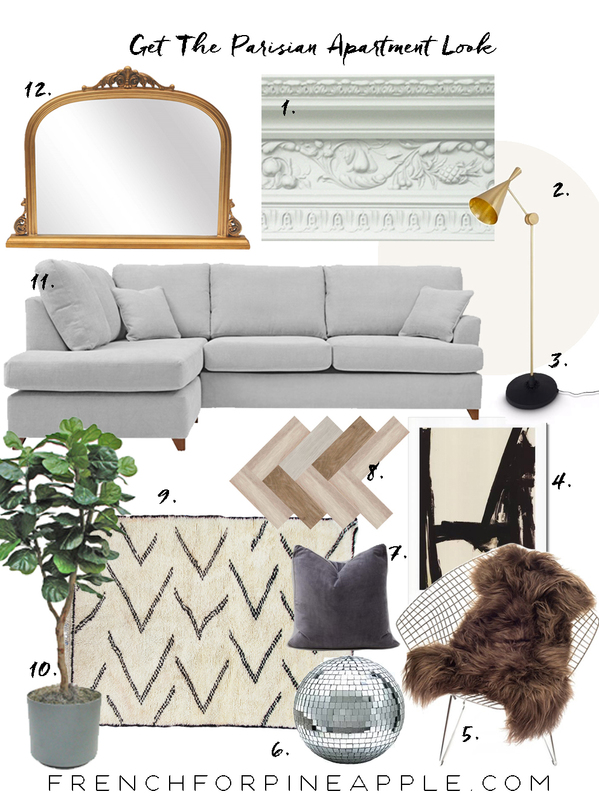 Think a lone disco ball, a Juju Hat, or a piece of vintage taxidermy. But don't go overboard. Just one interesting piece in a room will do the trick. 6. A bit of irreverent charm. A casual pile of magazines as a bedside table, an artfully arranged stack of vinyl.... vintage, obviously. Some framed art, leaning on the wall, or a huge un-hung mirror, all scream perfectly imperfect. But just make sure you subtly secure it so you don't harm the kids okay? Et voila! You have just nailed Parisian Apartment Chic! You can get 5% off at Willow and Hall using the code PINEAPPLE until 15th of October. This post is in collaboration with Willow & Hall. Completely agree with the architectural features. If you don't have any, go crazy! Those high ceilings though �� Thanks for the tips.